Capillary electrophoresis (CE) comprises a family of related separation techniques in which an electric field is used to achieve the separation of components in a mixture. One of the key features of CE is the simplicity of the instrumentation required, and today, these techniques have become powerful analytical tools for high efficiency separation, and the identification of a variety of ionic and neutral compounds. Moreover, the versatility of CE operational modes (capillary zone electrophoresis, micellar electrokinetic capillary chromatography, capillary electrochromatography, capillary isoelectric focusing, isotachophoresis, non-aqueous capillary electrophoresis, etc.) and detection systems (ultraviolet, fluorescence, amperometric, mass spectrometry…) make CE useful for applications in many fields such as environmental, food, pharmaceutical, and forensic analysis. The typcial drawback of CE techniques, based on their low sensitivity when dealing with conventional UV-detection, due to their short detection pathways and the short sample volume introduced into the capillary, has been largely resolved not only by using more sensitive detectors like fluorescence, amperometric, or mass spectrometry, but by the employment of both off-line and on-line enrichment procedures. 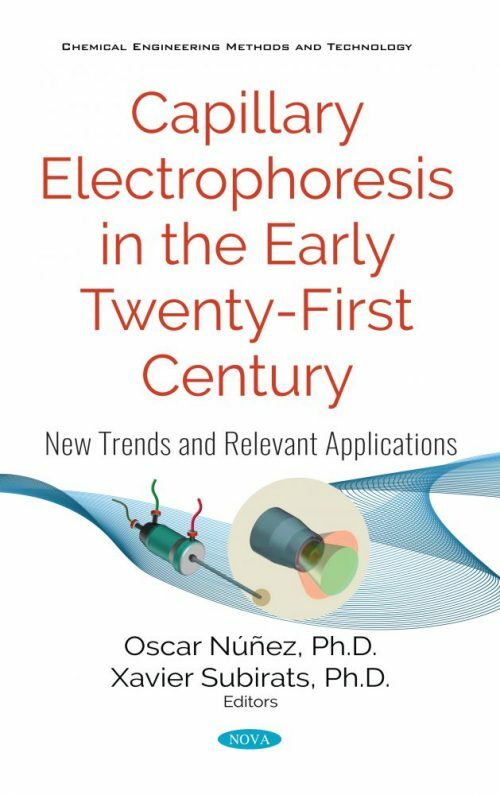 The aim of this present book is to address the state-of-the art of capillary electrophoresis techniques within this early twenty-first century, by reviewing new trends and the most relevant applications described in the literature. Uses in fields such as food, environmental, forensic and biological analysis are addressed by means of relevant application. The scope of this book is intentionally broad and is aimed at worldwide analytical laboratories, both public and private, at acadamic institutions, as well as researchers. Private and public institutions doing research in chemistry, biochemistry, food analysis, environmental analysis.